Tiny tattoos: 15 minimal designs we know you’ll ADORE | SHEmazing! Minimalist tattoos are one of the top tattoo styles and we’re not one bit surprised. The dainty and intricate designs are simply stunning. The best thing about minimal tattoos is the lack of pain. The rib cage and wrist areas are some of the most popular spots for minimal tattoos. If you’re itching to get a tattoo then a minimal tattoo is perfect for you. They’re subtle and easily hidden, but hold so much meaning in the detail. 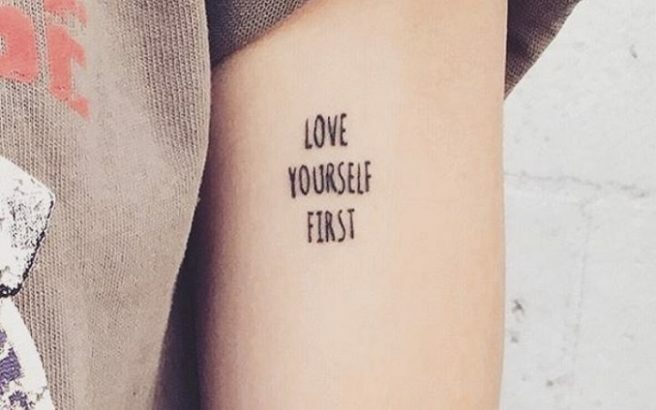 Here are 15 minimal tattoos you're going to LOVE. 8: Is there anything cuter than a dog wearing a flower crown? 9: "The second star to the right and straight on till morning."